Branding for Advanced Telematic Systems — Sudmann Creative – Design & Branding Agency. Turning a software company into a category leader: Advanced Telematic Systems. ATS Advanced Telematic Systems (ATS) is a leading provider of highly secure automotive-grade over-the-air solutions that are based on open source and open standards. 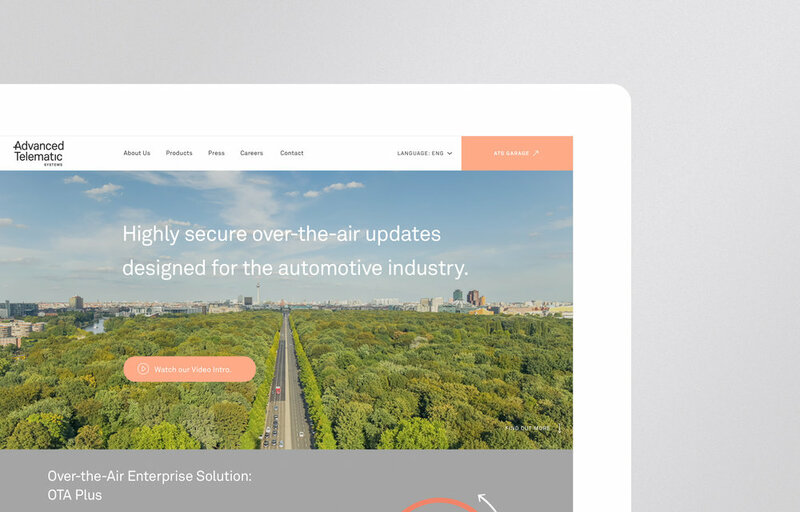 From 2018 onwards, the company is now part of HERE Technologies – before the fusion, Sudmann Creative was responsible for the brand identity, visual language and product design that turned a software company into a category leader. Are you interested in working with us? We would love to help build your brand. Interested? You want to find out more?